Placing some plants and flowers not only can help you to decorate you office room but also can help you to get positive feng shui. But if you chose improper plants and flowers or placing them improper, it will get negative energy in your office. So today we will discuss about feng shui tips for plant and flowers in office room. The office corner is good place to arrange some plants or flowers. As you know, most of negative feng shui energy deposited in corner. Placing some plants in corner is good ideal to absorb those negative feng shui and inspire positive feng shui in office room. Window sill is also good place for plants and flowers. If the exterior view is nice and peaceful (positive view), you can place some board leaves plants to absorb some positive energy. But if exterior view of your window is very negative, you can place some cactus to protect you away from those negative feng shui energy Chi. Your office desk; placing some beautiful flowers and plants can help you to relax. 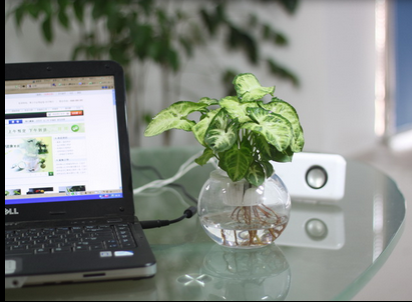 If your desk facing others and you are siting face other people directly, it will be good way to place some plants between you and your colleague. Placing some board leaves plants at side of passage. But do not place too big plants which could block feng shui energy flow. If your office door near washing room, you can place some plants near washing room door to reduce the negative feng shui energy.